Go out and search for the adventure in the Medieval Espoo district in Finland. Solve the riddle of the game. Start the game by choosing your own role character (male or female, Waldemar or Margareta). Meet nobles, smiths, pirates, maids, peasants, witches, bishops and merchants and travel through the Espoo with assistans by your male servant Anders. 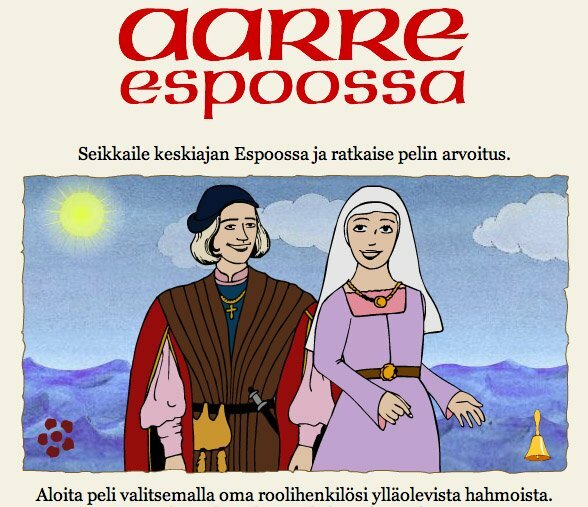 “A Treasure in Espoo” is an interactive animation and a Medieval game for everyone who is interested in history. The production was produced for the Espoo City Museum on 2002.